They travelled by road from the Air Liquide factory near Grenoble, sailed down the Rhône River from Lyon and entered the Mediterranean to the east of Fos-sur-Mer. 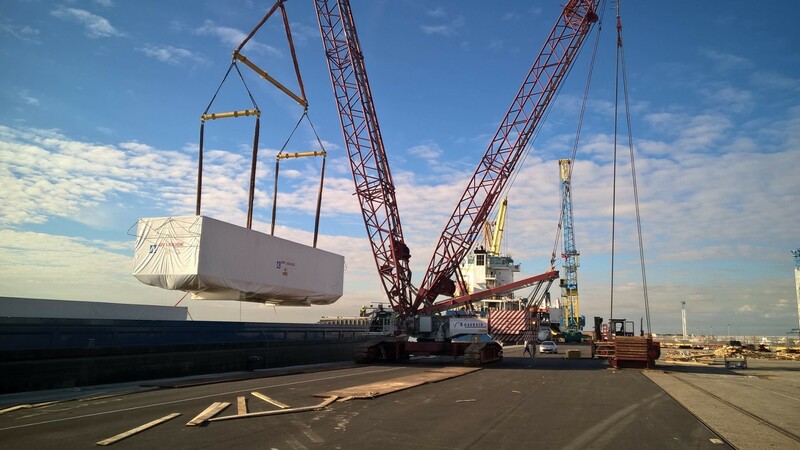 On Monday afternoon, the three 20-metre-long "cold boxes" for the ITER liquid helium plant were unloaded and are now safely stored in DAHER's new facility, pending transport to the ITER site. The land journey will begin on 12 December, following the crossing of the inland sea Etang-de-Berre. The massive, 137-tonne components are expected on site in the early hours of 15 December.